Bahia makes its debut in the 2018/2019 edition of the South American Cup on Thursday, February 7th. In his second consecutive continental competition, the tricolor will host Liverpool, Uruguay, at the Fonte Nova Arena in Salvador. The start of the match is scheduled for 1915 GMT. The meeting back in Montevideo was scheduled for February 21.Advances to stage two who achieve the highest number of points. In case of equalities are used as tiebreaker criteria the goal balance and the number of goals scored as a visitor. 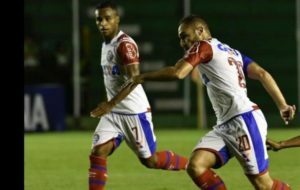 Dividing between the Northeast Cup and the Bahia Championship, the tricolor is with the bloated schedule already at the beginning of the 2019 season. On Sunday, February 3, it fulfilled its sixth commitment in just over two weeks. It was just the classic with Vitoria, who was in the tie by 1 to 1.The Ba-Vi won the third round of the Northeast Cup qualifying round. With five points (one win and two draws), Bahia split the lead with CSA and Botafogo-PB. When the tiebreaking criteria are taken into account, the Alagoas are left with the tip, the Paraibanos go to third place and the Bahians finish in second position. Anyway, the trio stays in the G4, which is what guarantees vague in the next step.The Bahia Championship ended up being neglected in this overdose of matches. With four points (one win, one draw and one defeat), Bahia is in fifth place in the qualifying round of the tournament. 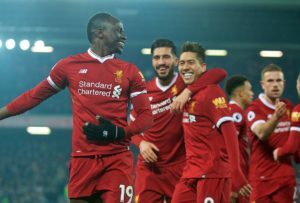 In that case, it would be out of the next stage, which is reserved for teams that are in the top four at the end of the nine rounds.Coach Enderson Moreira has split the squad into two teams. The main is used in the Northeast Cup and now must earn the mission to also play in the South American Cup and the secondary is on account of the state championship. Liverpool do not have any problem with overgame. Quite the opposite. The Uruguayan Championship has not started yet. Thus, the duel against Bahia will be his official debut in the 2019 season. His last game came true on November 4 of last year when he was defeated by Wanderers 3-2. As preparation, he only made friendly.Last season, the team ranked sixth in the Opening Tournament of the Uruguayan Championship. He accumulated 25 points (seven wins, four draws and four losses). They were 13 points less than the National, first placed. As a visitor, he maintained the standard of income. It was also the sixth best of the competition having won 11 (three wins, two draws and three losses) of the 24 possible points scoring seven goals and suffering ten.In the Closing Tournament, it slightly improved its performance. He completed 15 rounds in fifth place. He achieved, however, a lower score. There were 23 (six wins, five draws and four losses). This time Peñarol was in the first position having obtained 13 points more. As a visitor, Liverpool’s performance has dropped. It was the ninth best among the 15 teams that participate in the Uruguayan Championship. Of the 21 points played, he won seven (one win, four draws and two losses). Scored seven goals and suffered eight in the status of column two. The fast-paced preparation will try to bring more fruit in the short term. Although it can lead to wear problems, this should only happen at another time of the season. Thus, the prognosis in Bahia’s success in this Thursday’s showdown against Liverpool for the first phase of the South American Cup seems to be the best option.